It was my parents who encouraged me to play the piano when I was a kid. Although they were not professional musicians, they had the great passion for classical music since their youth – my father can play the trumpet, and my mother is an amateur violinist and guitarist. Therefore, my relationship with the instrument started as early as I was about to walk and speak. As things developed naturally, I was quite successful in several local and national piano competitions, but my parents never forced me to pursue an early career as a “prodigy”. On the contrary, they encouraged me to explore other interests in arts, literature, maths, astrology, history, etc. So, although I was clear with myself that I would work in creative environments, I didn’t particularly expect to be a professional musician until the age of 13. At that time, I took part in an international piano competition (my very first international piano competition) in New York City. I won the first prize as well as several recital engagements in the USA including a debut at Carnegie Hall in New York. It was my first time touring overseas, too, so the whole experience opened up my eyes and my mind. Of course, I was quite nervous before my Carnegie Hall debut with repertoire ranging from Liszt’s La Campanella to Schumann’s Symphonic Etudes, etc., but thankfully I was well prepared and the resonances from both the audience and the media were very encouraging. Interestingly, I haven’t really encountered any more stage fright since then and I have felt quite natural performing on stage ever since, so I suppose it was truly the turning point in my early musical life. Many great people have lightened my musical life, and many critical turning points have shaped my career. First of all, I was fortunate enough to have studied with some of the most renowned piano professors I could ever have dreamed to study with, such as Christopher Elton who first discovered me playing Bach’s Goldberg Variations in Germany in 2006. 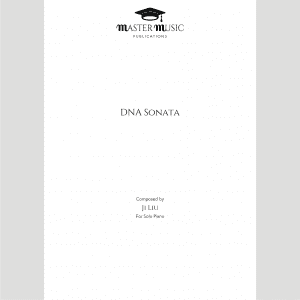 Thereafter I spent the most crucial, fruitful and fascinating years of my undergraduate and postgraduate study with him at the Royal Academy of Music in London, with the generous support from foundations and individuals including the Tabor Foundation, the David Cohen Trust, Sir. David Tang and the Hattori Foundation, to name but a few. Also, I studied with Bashkirov in Madrid before my move to London. I was among his youngest students at that time and his rigorous teaching and the Russian School heritage built a strong foundation for my profound love of Russian repertoire and beyond. Of course, I am ever grateful to my professors in China, where my fingers and technique were trained professionally and solidly at a young age which allowed me to develop my musical understanding and horizons to the next levels during those early years. Also, my fruitful collaboration with Classic FM and the mentorship I have received from various musicians and organisations since my graduation together with my part-time PhD project at King’s College London have all helped to further nurture my playing and my perspective to music-making to an even more comprehensive degree. As a performer, I profoundly believe that it is the musician’s excellent playing (to play the right repertoire in the right way at the right time) that makes the musician’s career. So, I see challenges through the music and I set new goals in the ways I programme my concerts and how I play those programmes. One interesting fact about the eternal nature of classical music is the countless possibilities for performing one single piece, if one can be creative and humble enough. It is important to have the confidence and the ability to express oneself openly and sincerely through music which is, in itself, a big challenge. Also, musicians are human beings like everyone else and we have to deal with everyday issues such as coping with jet-lag during our international tours and to deal with stress, etc. So, to think about music and beyond, to keep the awareness of listening, to have the patience of managing silence and to have the courage to say no sometimes are all important to me. Having just answered the topic about “challenge”, this is indeed a challenging question! Thinking about the most recent one, if I were allowed, I would put my new album “Fire and Water” in the list. In the preparation of this album, I was drawing the Chinese philosophical idea of “Wu Xing” to the programme, showcasing piano music written around the transition between the late 19th century and the beginning of the 20th century, such as Scriabin’s 2nd Piano Sonata, Debussy’s Preludes and Stravinsky/Agosti’s Firebird Suite. It is a project that I have been working on over past year and it well represents my artistic and musical aesthetic in many ways. Regarding some notable performances, many other facts than the playing itself could add extra excitement, as I recall. For example, one of my most memorable recitals was at the Bristol Proms where the concert was staged by theatre director Tom Morris and programmed with John Cage’s 4:33 and Bach’s Goldberg Variations together. So, I am still proud of presenting the Goldbergs in such radical and controversial way yet of staging it convincingly. Also, I played one of Schubert’s rarely performed but utterly beautiful sonatas D.571 (unfinished) together with piano works by Rzewski and Scriabin at some of my recitals, including the recent one at the Verbier Festival last year. The process of discovering and re-discovering unusual pieces through creative programming is something that I find extremely meaningful and something which helps me communicate with an audience. My recent debut with the Bournemouth Symphony Orchestra at the Royal Albert Hall and giving the world-premiere of Einaudi’s Piano Concerto with Royal Liverpool Philharmonic also always make me smile when I think about them, too. I don’t really pigeonhole myself to one particular genre or one type of work – and I am always curious and seek out new repertoire to learn. However, from what I have experienced over recent years and looking to the future from an objective perspective, I would very much like to explore more works in which I could further enhance my creativity in programming and the way I present them in live performances. The direction of this journey would start with the work of composers from the French Baroque such as Rameau and Couperin, as well as works by my musical hero, Schubert, through the reflection of more impressionism to the modern music of our time. No, I don’t throw the dice and decide… Balance, creativity, unity and uniqueness are always the keywords when talking about repertoire. I think one has to make things clear in the mind between dream and reality, creativity and practicality. I am quite down to earth and honest with what my current musical strengths are as well as where my practical limits are each season, so the choice of the repertoire is a combination of my almost scientific and cool-minded analysis and my long-term artistic vision and passion. I think the great performance makes the perfect concert venue. The participation of the audience also makes certain vibration and atmosphere in the hall which could turn around the acoustic completely. Some places might suit particular repertoires better than the others. So, I think the majority of my own thoughts on concert venues is very subjective. Over these past years though, I have thoroughly enjoyed playing not only in the big halls such as the Royal Albert Hall and the Royal Festival Hall in which I actually enjoy the acoustic by performing the Goldbergs as well as Beethoven’s 4th piano concerto, but also in some more intimate spaces around the country including some exquisite churches and concert society venues. Wigmore Hall falls perfectly into this category where it seems that it would be hard for anyone not to sound beautiful! I could possibly still be answering this questions in several days! Overall, the musicians and the recordings of the first decades of the 20th century always give me a lot of pleasure, both to listen to them and to learn from them. As I have noted about my album “Fire and Water”, the recording was my homage to both the golden age of piano playing as well as to the music-making (in every sense) of that period and it is also very much a tribute to some of the pianists I admire the most, from Rachmaninov and Sofronitsky to Horowitz, Michelangeli and Argerich, to name but a few. Thanks to the technology of our age, we can now get access to endless sources of recordings on-line, so there will always be something great and fabulous to be heard and from which to learn. There are some memorable concerts I have attended that still cause quite a stir inside my mind. I think one of the most extraordinary concerts that I ever attended was hearing Beethoven’s 5th Symphony conducted by Christopher von Dohnanyi at the Verbier Festival when I was 15. Also in the same year, I heard Stravinsky’s Firebird Suite conducted by Gustavo Dudamel, and that performance opened up my ongoing interest in both Stravinsky’s music and contemporary music. Also, Andras Schiff’s performance of the last movement of Beethoven’s Sonata Op.111 as an encore after the Diabelli Variations at the Wigmore Hall was one of the most enlightening spiritual journeys I have ever been on. I clapped too hard that evening and had to have a day off from my practise session the next day to recover! Along with the growth of age and experience etc., the definition of success also means something different. Personally, I don’t think music-making – which is what we actually do as a musician – should be measured or defined by “success”. But if one has to put it this way, in my opinion, the success of the musician is as simple as having the discipline to work hard, the energy to perform well, the dream to develop further, friends with whom to make music and curiosity and ambition for lifelong learning. To learn all the rules is most critical and essential, but then to follow one’s intuition is something that one should also take account when aspiring to make great music. Also, one should always keep in mind that why we make music – is it all about winning a competition or securing a successful career, or is it something far beyond these instant outcomes? I think the longevity and creativity are the qualities that would definitely help to make a much healthier and more thriving musical journey. I hope I will still sit in front of some gorgeous music and play faithfully every day – this applies not only to the next 10 years, but also the next 50 years. In Chinese, there is a saying called 乐极生悲 which translated into English as “Joy surfeited turns to sorrow”. Music inspires and teaches me to see through things in many different ways and aspects. Nevertheless, if one had to categorise and grade the level of happiness, I assume that to be able to focus on the things in which one believes and to be able to live it with great enthusiasm, would be perfect happiness – which in my case, is to be a musician in every sense. I would say my family, mentors, friends, and all the wonderful people who have been and will be with me on my musical journey. Peaceful and thriving at the same time! See Ji Liu’s Artist Biography here. 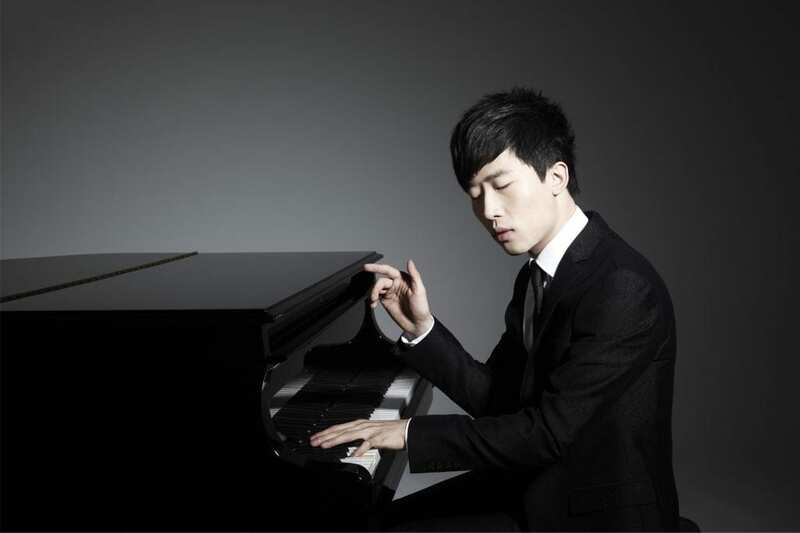 Ji Liu will be performing at the Inaugural Master Music Piano Festival for a Children’s Piano Concert on June 8th – tickets can be booked here – and for a Solo Piano Recital on June 16th 2019 – tickets can be booked here. Ji will also be adjudicating the Master Music Festival Piano Competition. All taking place in Watford, North London. Interview reproduced with permission from Frances Wilson who blogs as The Cross-Eyed Pianist. The original article can be found here.